I'm usually not a huge fan of putting carbon dioxide in my coffee, but I'm willing to make some exceptions. 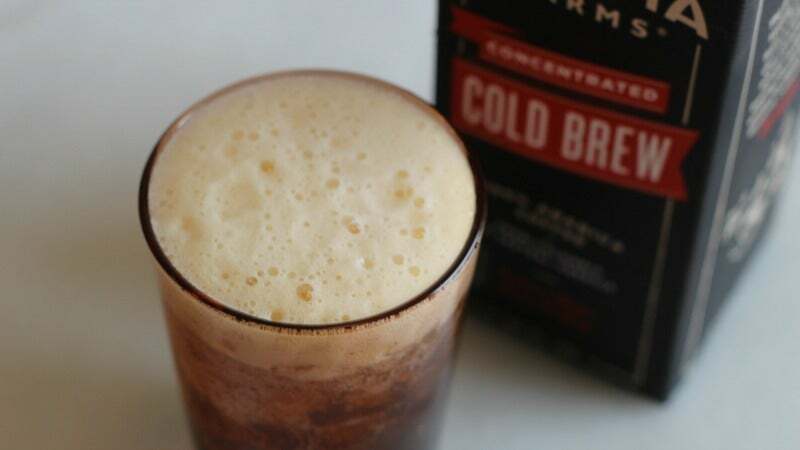 For example, cold brew on nitro is great; the bubbles are nice and small and give the coffee a smooth, creamy mouthfeel. Plus, I've tried some fancy coffee soda water things and found that they mostly just cause oral confusion — see exhibit A below, which was the most perplexing, yet delicious thing I've ever put in my mouth. Basically, it all comes back to mouthfeel. Where nitro smooths out coffee's harshness, carbonation enhances it, making it taste thin and sharp. Luckily though, it's something you can concoct at home: you just need to add something sweet and syrupy. I decided to try combining cold brew with with a carbonated beverage that comes pre-syruped: classic Coca-Cola. This, my friends, hit the sweet spot of bubbly, sweet and smooth. The sweet syrupy-ness of the cola kept the bubbles from blowing out the cold brew, while balancing out any bitterness. Similarly, the coffee made the cola more drinkable, taming the cloying factor. I drank the whole glass and — since I had taken a big ol' dose of pseudoephedrine earlier — I'm happy to report that I can now see sound. 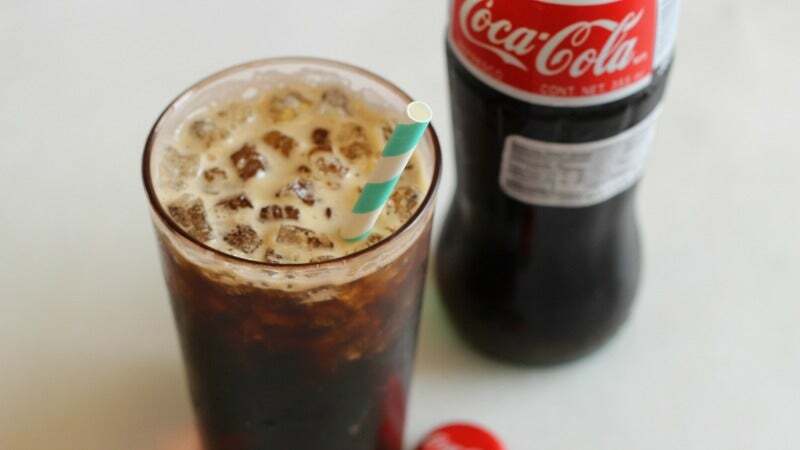 I combined 1/4 cup of cold brew concentrate with 1/2 a cup of skim milk in a chilled glass, then added four tablespoons of chocolate syrup and carefully topped the whole thing with soda water. This was as delicious as you would suspect, but the coffee didn't add a whole lot besides a tinge of flavour and a good bit of caffeine (keep in mind I'm using cold brew concentrate, which packs a wallop). 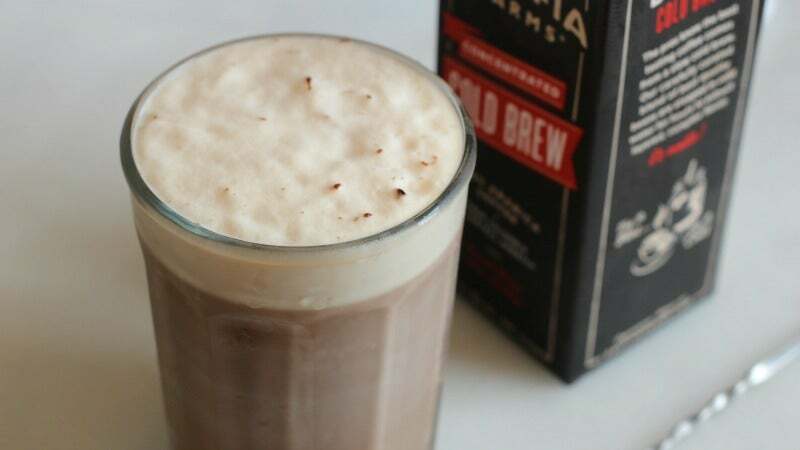 To bring the spotlight back to our cold brew, I tried a variation of the fountain classic, omitting the dairy entirely and mixing two tablespoons of chocolate syrup with equal parts cold brew concentrate and syrup. The resulting beverage was pure chocolaty, caffeinated delight, without any of the heaviness that dairy can bring. Keep in mind though, you need a good bit of syrup for this to work. I tried it with just a single tablespoon of the chocolate, and found it to be quite displeasing, as there wasn't enough sugar to smooth things out. 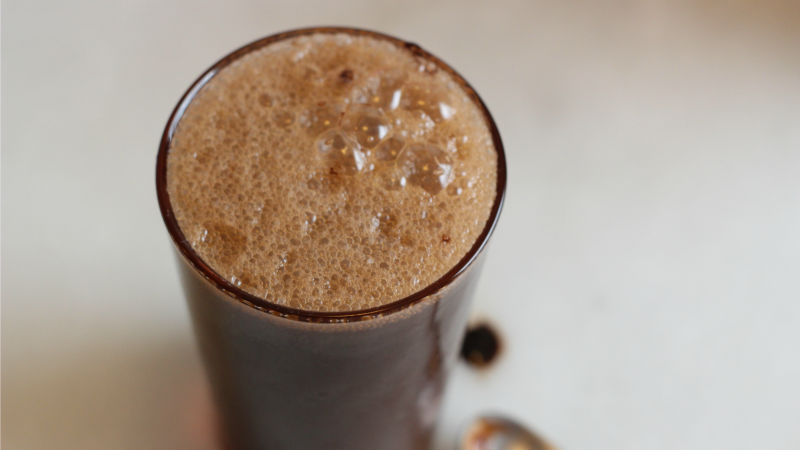 So while yes, you can mix carbonation and cold brew, you best include a syrupy add-in, even if it is just a bit of simple. Unless you like the smoother flavours of your coffee muted and the bitter ones enhanced, that is. It takes all kinds, after all, and I'm not here to judge.